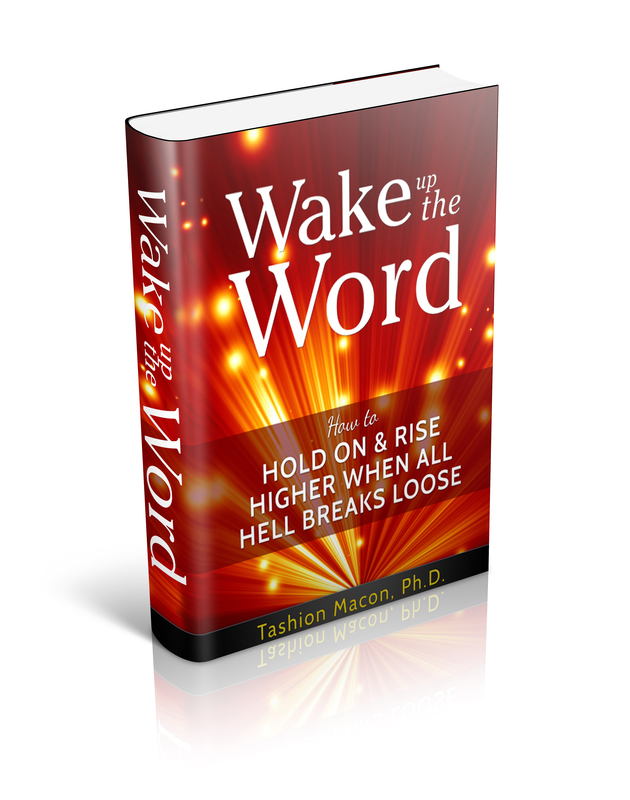 Christian Inspirational book that shares spiritual strategies on how to “Wake Up The Word”. It is the first book in the series and provides unwavering techniques for readers to follow for seven (7) days to take on the mind of Christ, and transform their language and thereby their lives. The focus of the book is centered around the parable found in Matthew 8:24-26 (NIV), where the disciples are in a storm and Christ is asleep on the boat and how when Christ (the Word) was awakened, He spoke to the storm and the strong winds and waves calmed down. This same power is available to all of us. In the new book, Macon encourages Christians to invoke "Wake Up The Word" (WUTW) as a strategy for successful living. The book teaches and challenges readers to a seven (7) day spiritual declaration strategy to activate the Word of God available to them and IN them to confront the storms, struggles and challenging scenarios of life.